That was me, waxing poetic during the intro of the X100S review almost two years ago. It may have seemed strange to some that a camera, a simple capture device, could elicit such a high level of emotion; but I believe objects can become more than the sum of their parts. These tools can become an extension of ourselves and when they do, something else happens: they inspire us. To this day when I see an X100 I have an almost Pavlovian response, something I can only describe as photographic withdrawal syndrome: it makes me need to shoot. Anything. It also infects me with a serious case of wanderlust, which I imagine is a byproduct of these cameras being my constant travel companions since the very first version hit the scene; I still own that original model with all its beautiful infuriating faults. 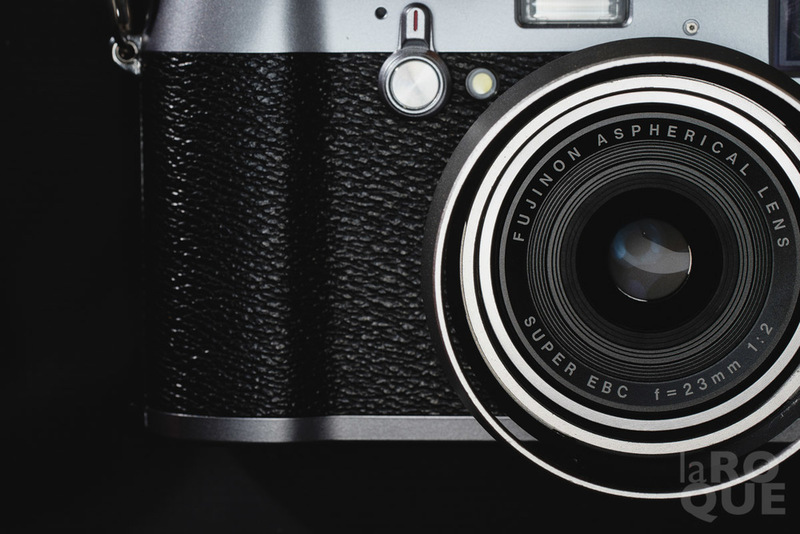 The X100S was a no-brainer in terms of upgrades: miles ahead in almost every single aspect but form factor which, let’s face it, Fuji nailed on day one. But as great as it was, my close association with Fujifilm Canada as an X Photographer had a strange side effect: I never bought one. I had a review unit for a good while, then I wanted to buy my own but there was no stock available so they graciously sent me another loaner… Then the X-T1 came into the picture … Long story short: eventually it only made sense to wait for the next version which I knew was on the table. I’m well aware that I’m late to the game so I’m not going to go through all the features of the camera — there are tons of reviews out there already that I’m sure you’ve all read. My quick take? Yes, it’s better, faster than its predecessor. Duh. But although this version is about refinement rather than the giant leap forward of the last upgrade, the subtle changes throughout, the refining of the UI and button layout, the attention to such small details as the texture used on the focus ring… All of it amounts to this being the best damn camera I’ve ever owned. I love the X-Pro1, I love the X-T1 and all the lenses that come with them; it’s all spectacular stuff that still gives me fits of giddiness. But if I could pack my bags and family tomorrow, travel the world and earn a living by shooting nothing but this camera I’d be set for life. I could literally live with nothing but the X100T as my one and only photographic tool. I wouldn’t be shooting eagles, I know that. But I’d have zero problem accepting the visual reality of it. The new rangefinder OVF mode which further refines (and rounds up) the already stellar hybrid viewfinder. Hard to find anything more versatile out there. Third stop increments on the aperture ring. The back panel with a better layout but also buttons that finally do justice to the rest of the body. The new Classic Chrome simulation that begs for documentary work. The addition of an electronic shutter that opens up possibilities by allowing the camera to shoot at much higher speeds wide open. There are limitations to this feature but combined with the still included ND filter it means that certain situations are now much more fluid than they were with previous models. The same wifi capabilities as the X-T1. Combined with the remote app it’s a surprisingly useful addition. Are these enough to jump from an S to a T? Honestly, I probably would’ve stayed put if I’d purchased the previous generation. But having shot both cameras close to each other I have to admit I’d have a hard time going back: those changes do matter. They add up to a near perfect little machine. By the way: I've added a lens hood to the camera which you can see in the images above. It's the same one I've had since the X100 days — in case you were wondering. My one slight negative: we’ve come a long way in terms of consistency between X cameras and the recent releases clearly show how much Fuji is listening to everyone’s feedback. So I now expect software to be identical across the board. The massive 3.0 X-T1 firmware update brought us everything that had been added to the X30 and X100T so I was surprised when I went looking for the Preview Exposure in Manual Mode in the assignable functions: it’s not there. It’s still in the menus of course but it isn’t part of the functions assignable to various buttons. Not a huge deal on this camera because it tends to be used differently, but I expected it to be there just as it is on the X-T1 — we CAN use strobes with this camera so in my mind we should have the same options available. Same deal with custom white balance: on the X-T1 we get to save three custom settings, on the X100T we still have only one. 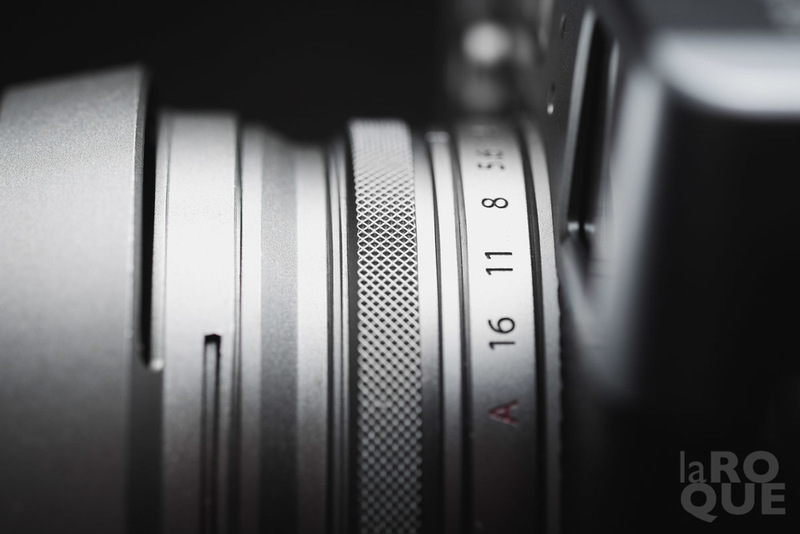 And if we turn things around: the UI, the screens and animations are very slick on the X100T and I admit I felt a tinge of disappointment when I didn’t see them on the X-T1 after upgrading its firmware… But there may be a technical, physical reason behind it. This last one is obviously just form and has no impact on functionality per se, but it just adds that millisecond of disconnect when switching cameras and In my perfect, idyllic reality, all would be the same in one big happy family. I could talk on and on about details, performance etc… But at this point I feel I’d be repeating what so many others have already brilliantly said, including my buddies Bert Stephani and Kevin Mullins. So this time instead of telling I’m just going to show. I spent the entire holidays shooting nothing but the X100T and below you’ll find 4 short photo stories that will hopefully illustrate what it can achieve and further underscore the importance of this camera in my world. Two years ago I described the X100S as a coming of age; the X100T is maturity in all its glory.